Home / Canada / Call for submissions of texts and activities: NO JUSTICE? NO PEACE! Originally published by Collective Opposed to Police Brutality. Was there any justice for Nicholas Gibbs, assassinated in broad daylight? by the so-called “peace officers?” Is there any justice for the migrants? for which we refuse to give the quality of life that was stolen from them by canadian companies abroad? Is there any justice for the people? of Unist’ot’en and Wet’suwet’en, taken away yet another time from their ancestral lands? Is there any justice for environmental activists? imprisoned for blockading projects leading to our own destruction? Is there any justice for all minorities, whether racial, religious, queer and/or native, which are constantly profiled and imprisoned by a system trying to erase their very existence? As is the case every year, the COBP is organizing an anti-police week this year focusing on the theme of” No justice? No peace!” We invite everyone (groups and individuals) that wishes to contribute to the cause to do so by co-organizing events or submitting articles, essays, comic books, drawings or poems that will be published in the annual edition of our collective’s newspaper, État Policier. This year, the anti-police week will be happening from Sunday, March 10th to Friday, March 16th.You can contact us at cobp@riseup.net before February 22nd, 2019, to announce your anti-police activities. Mark your calendars! All submitted texts will need to be a maximum of 2 pages and can be written in English, French or Spanish. The authors that wish to get their texts translated into another of these three languages must do so on their own. We also invite you to provide images or pictures that illustrate or relate to your text, if you wish to do so. The 2 pages maximum, however, includes the use of images. Please contact us as soon as possible if you plan to submit an essay or a drawing for the journal. Your essays and drawings must be submitted at cobp@riseup.net by February 15th 2018 at the latest. The active fight against the police represents first and foremost a stand for anti-colonialism, anti-racism, feminism, queer rights and intersectional equality. The material chosen for the journal will aim to underline the importance of giving visibility to individuals and groups that are systemically oppressed by the police on a daily basis. Because the judiciary system, the political system, and their state agent lap dogs) RCMP, SQ and SPVM, etc.) have nothing to do with protecting minorities. Their role is to answer to the needs of the better off: the rich and privileged. Their role has nothing to do with justice, and all with the defence of the castle of the privileged. A castle which is, every day, less sustainable, and less acceptable. 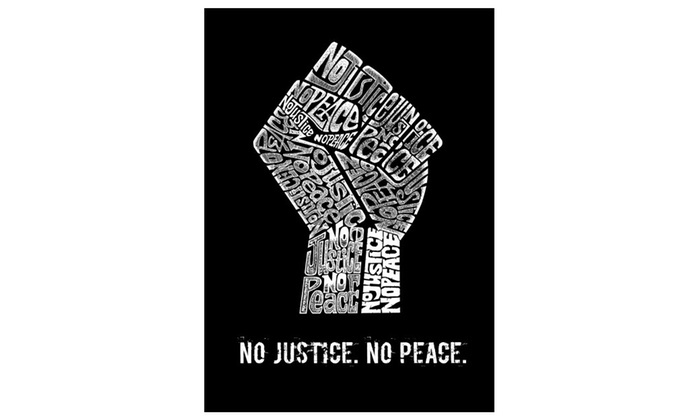 An injust society is a society which cannot be peaceful. No justice? No peace!